On Tuesday 5 June King’s was favoured by a visit from its first dux. Those who are familiar with the brass plaque in the foyer will see the name G.C. Lyon 1936 at the top. He still proudly displayed his medal in the original box. 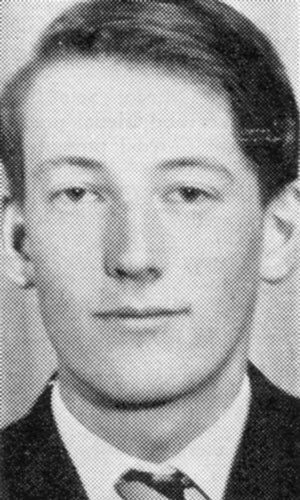 As a first day student at King’s George Lyon was a student similar to many other typical King’s boys of the last 65 years. 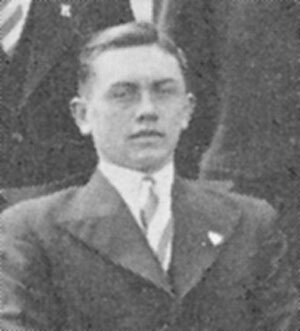 Although dux in 1936 it was necessary for him to leave school during 1937 and go to work at the National Bank. This was immediate aftermath of the Great Depression when it was difficult for families to manage. 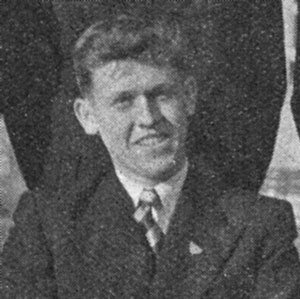 The outbreak of World War 2 saw George as an 18 year-old enlist for service. 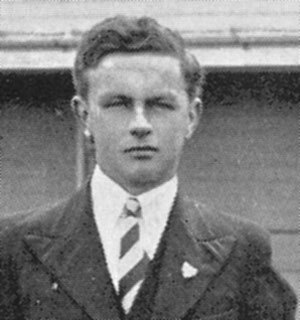 He was accepted into the Fleet Air Arm of the Royal which meant he became a pilot flying off aircraft carriers. 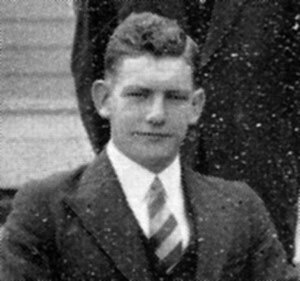 He spent 2 ½ hears in this hazardous occupation as Commanding Officer of a four aircraft unit flying from the smallest aircraft carrier “McKendrick”. Mr. Lyon recounted with amusement the occasion of his 98’’ carrier landing. This was three short of the number required for the presentation of a large disc for 100 landings without incident or accident. 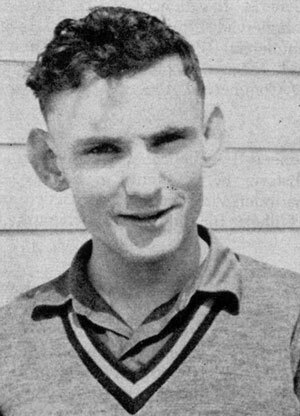 At 4am on a dark morning on a heaving small carrier Mr. Lyon s plan landed and broke in two. His half aircraft carried on to the runway end, the navigator’s half remained at the other end of the flight deck. The navigator when asked if he was inured replied indignantly that he expected to travel the whole distance with the pilot in future! After 6 ½ years of service in warfare Mr. Lyon holds the view that it is not glamorous but is a waste of human life and resources. 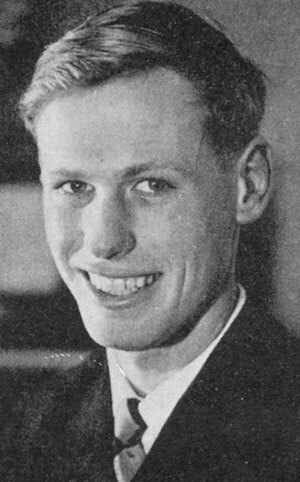 On his return to New Zealand Gorge Lyon began a mining course at Otago University finishing with a degree in metallurgical engineering and the prestigious Duffus-Lubeki Research Scholarship. After 30 years employment in the Australian mining industry he returned to farming near Tauranga, specialising in Piedmontese cattle and Texel sheep. Nowadays he is retired near Tauranga and visited his old school on his journey south accompanied by his wife and daughter. 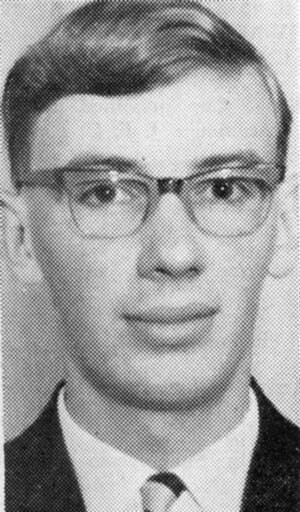 David Noel Ferguson Dunbar, came to King’s High from St. Clair School four years ago. 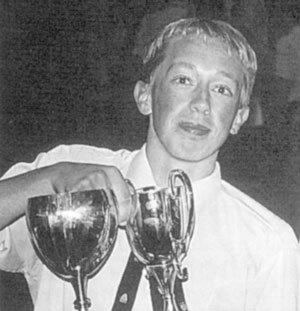 He was dux of his primary school, and since enrolling at King’s High School heha s been top of his form each year. 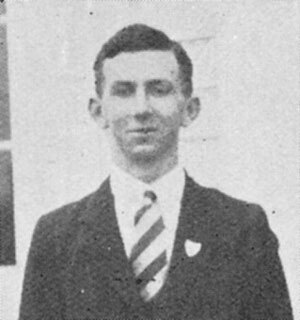 Although a brilliant scholar, he has not confined himself entirely to the academic side of his school career, and his sporting activities have included cricket and fives. 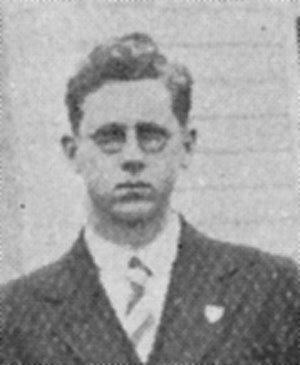 He has also been quartermaster-sergeant of the School Cadet Corps, and senior librarian, in addition to which he has taken a keen interest in the School Radio Club. 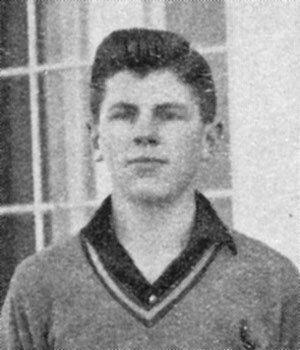 Malcolm James Campbell Templeton, came to the School from Gore High School during the second term of 1936, and has bad an excellent scholastic record during the whole of his five years at the School. He is a boy of exceptional literary ability and sound historical knowledge, and the school magazine, Wi Kingi, owes more to his guiding hand than to anyone else. He has been on the committee responsible for that school publication for four years, while for the last two years he has been Editor-in-chief. In the newly formed Ambulance Division of the School Cadet corps he has done excellent work. Godfrey Stephen A. Scurr Raymond G.
Stuart Dickson (left) and Wayne Angus recieve their Dux Medals from Stan Rae, President of the PTSA. 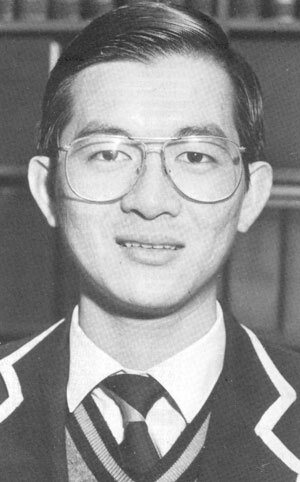 The dux of King’s High School in 1988 was Boon Chuan Low, a 19 year old student from Kuala Lumpur. 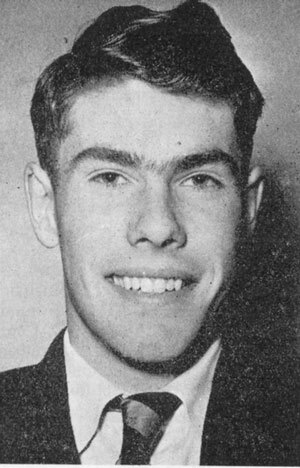 Affectionately known by his schoolmates as ‘BC he came to New Zealand at the beginning of the year hoping to find a school that would lead him to the University of Otago and studies in molecular biology. ‘BC’ had been head boy at Sental Methodist School in a small town outside Kuala Lumpur and came to King’s from his upper sixth form year. Fluent in several languages including Hokkien (a dialect of Chinese) and Mandarin (a main Chinese language), he studied nine subjects until his fifth form year at high school. 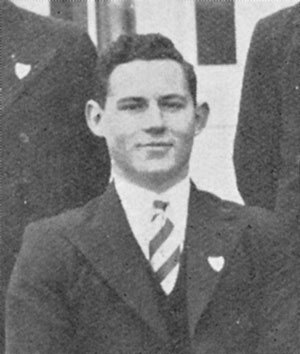 He made his final decision to come to New Zealand and study after talks at the New Zealand High Commission in Kuala Lumpur, and Dunedin was the choice of cities because his aunt had graduated from the University of Otago. BC’said he was very honoured to be awarded the dux medal. He returned home after his scholarship exams and returned to Dunedin in February to resume his studies. 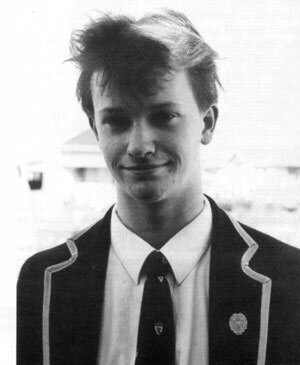 Following in the footsteps of his elder brother, Simon, Matthew Gordon Barr is the 1989 Dux of King’s High School. This award came at the end of a hard year’s work for Matthew. Gaining the honour of Dux is tough enough but Matthew combined this with representing the Otago Men’s A’ Indoor Hockey team, Otago Colts Outdoor Team and leading an active social life. ‘I don’t think I’ve worked a Saturday night ever, I’m a firm believer in having breaks,” Matthew said. However , he stresses that time management is vital in achieving at school. This means Matthew must miss ‘Neighbours’ and keep to his timetable. 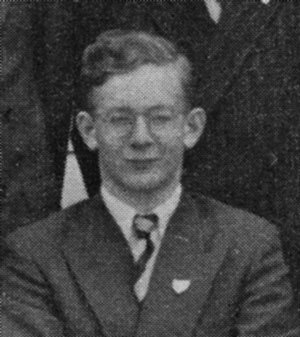 Matthew has been known for his academic ability throughout his time at King’s. Although he only gained an Honourable Mention in the third form, Miss Hutton, his group teacher, had decided already that Matthew would be dux. 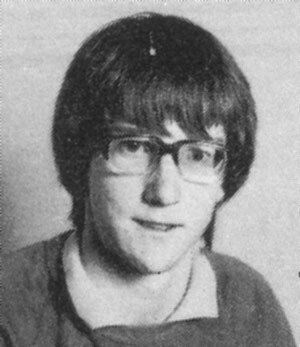 From then on things went according to plan, culminating with Matthew winning the Bremner Scholarship for academic excellence at form six in 1988 along with various other subject prizes. This year Matthew undertook a course of Calculus, Statistics, Physics, Chemistry and Economics. He has achieved outstanding marks often in the 90s for his school exams. “I’m really grateful for the assistance of the teachers in all my subjects, and my fellow pupils, particularly Ryan Clements,” Matthew said (as Ryan held him down!) Matthew has also had a great deal of assistance from his parents who are both teachers, the rest of his family have been supportive, though he denies that Simon was an influence in any way. Next year Matthew will undertake his intermediate year of an Engineering Degree. But his immediate goal is scholarship in which he believes his chances are “not too bad” – everyone at King’s knows they are in fact very good. General excellence each year (including six subjects in the 5th form) is a credit to anyone but then we find that Luke has won five subject prizes over the last two years the prestigious Bremner Scholarship for academic excellence in the 6th form was also won last year. 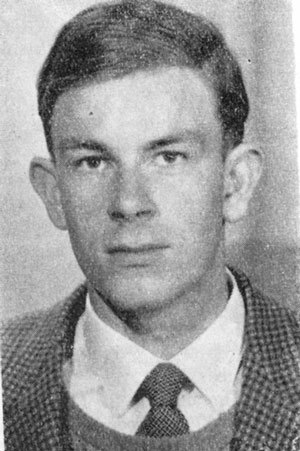 As well as his class work, there is the odd credit pass in the Australian Mathematics Competition, first placing in speech competitions and so on. Obviously Luke has worked hard and very steadily to achieve this fine record, but motivation and desire to succeed have been equally important. Luke hasn’t just spent all his time in the classroom either but has played soccer and badminton for the school and is in fact a member of the Two Under Club after scoring a hole in one at the local golf course by local I mean Lawrence. Living in Lawrence and Dunedin has created some problems in terms of playing sport and study because ol the time factor involved in all the travelling. You can set your watch by Luke — 6:30pm up to his room — 9.3Opm back down, having done his school work. Luke isn’t actually sure of where he will end up but hc will start on a general science degree and perhaps move into medicine. We wish Luke all the best for Bursary and Scholarship and for his studies at university. It was a great honour for the school when Aidan was chosen to be the reserve for the New Zealand International Mathematics Olympiad team. The top six in the country made the team and Aidan was rated seventh. This was followed by an outstanding performance in placing second equal out of over 1000 entrants in New Zealand in the National Bank Senior Science Competition. Also in science, Aidan participated in the Fletcher Challenge Science Summer School (120 students were selected). 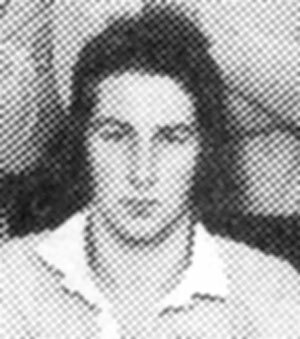 He was Highly Commended in the 1991 N.Z. Science Summer School Essay Competition (a small part of the essay was published in the N.Z. Science Monthly). 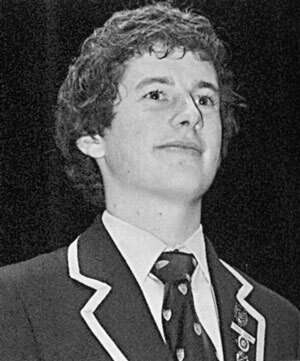 In the Westpac Mathematics Competition Aidan was one of about seven students in his age group from New Zealand that gained a prize. Aidan rated in the top 0.3% in this contest. Shanon won both rounds of the Logo programming contest. They completed the second thirty minute problem solving session, with no errors, a clear eight minutes ahead of the next team. Aidan also won the graphics competition. 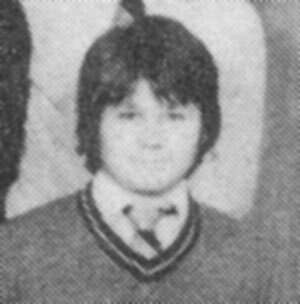 It came as little surprise to those who knew him when Aidan was awarded a ‘School Blue’ for scholastic competitions. This was an honour that this quiet mannered, modest student so richly deserved. Aidan has been a top pupil in the classroom also. He has gained General Excellence prizes every year while at King’s. 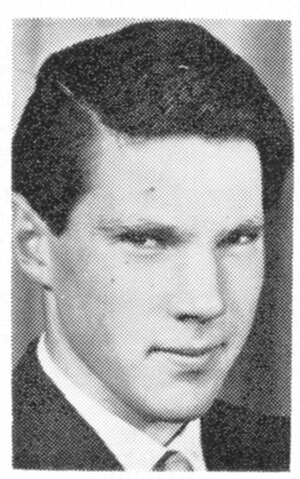 In the fifth form he won the Science, Mathematics and Sansom Prizes. Last year he was winner of the Bremner Scholarship for academic excellence in form six as well as winning prizes in mathematics, technical drawing, English and sciences. Aidan gained all I grades in sixth form certificate and this year after placing first in every subject he takes in form seven, he was given the highest academic award the school can offer — that of Dux. Aidan has involved himself in all aspects of school life, playing soccer tennis and golf, and being a member of our orienteering team which won the Dunedin schools championship: he took part in this year’s musical and is involved in the Duke of Edinburgh Award Scheme. 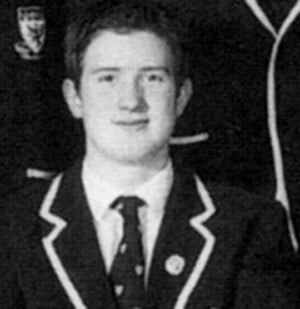 Conspicuously Aidan has been prepared to work for others — as well as being a school prefect he is Head Computer Assistant for 1991. In the future Aidan intends to further his academic studies in mathematics, physics, chemistry and engineering. King’s High School in Dunedin is basking in the scholar award for successive years. 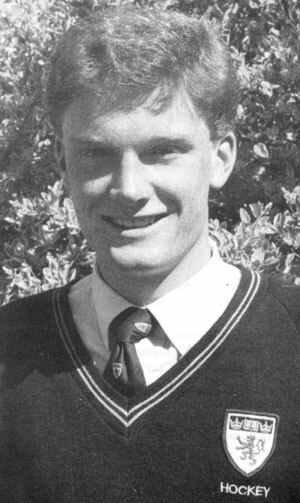 The school’s 1991 dux, Aidan Arnold, won first place in the 1991 universities bursaries/entrance exams — an honour won the previous year by Luke Merriman. The pair took the same subjects — chemistry, physics, biology, mathematics with calculus and mathematics with statistics. Both achieved similar marks in each subject and gained an identical total of 470. Aidan will study a science related course at the University of Otago this year, and Luke will study medicine. Rector Ian Simpson is proud of the achievement of the two students from what he wryly refers to as “just another state school”. “We’re delighted for the boys themselves. Clearly they are very intelligent young men. But it’s not just one year’s work. They were both hard working students throughout their schooling. Mr Simpson said it was also a credit to the teachers who had taught them during their five years at the school, though success was not confined to science subjects. King’s High draws students from a wide variety of backgrounds and has a large number of boys with special needs. For example 55 per cent of the form 3 intake was below the chronological age in reading. Mr Simpson said the school was noted locally for its work in remedial reading and mathematics. The success of Aidan and Luke showed the school could also provide for the most academically able students. A King’s High School pupil Aidan Arnold, gained the top mark in the country for physics in the private scholarship examinations run by the New Zealand Education and Scholarship Trust and sponsored by N.Z.I. Life. Special prizes valued at $100 each were won by King’s pupils Danny Ho (in calculus) and Callum McKenzie (physics). Certificate winners were as follows: Aidan Arnold, credit biology, chemistry, calculus, distinction physics, merit statistics; Michael Brown, credit history; Jason Familton, credit geography; Danny Ho, credit accounting, merit calcuhs; Callum McKenzie, credit calculus, physics. It has been several years now since the school was able to bestow its highest accolade on a student from the ‘Arts’ side. This year, however, Anthony Simpson has proven himself worthy of the honour. 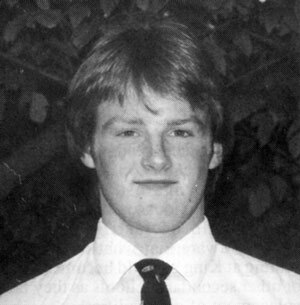 From bell boy in 1988 to dux in 1992 it has been a most fulfilling five years. That time has seen Anthony involved in a multitude of activities outside the classroom; including four years in the Mathletics team. As well there were forays into the world of rugby, tennis, basketball and representing the school at the mini United Nations assembly. 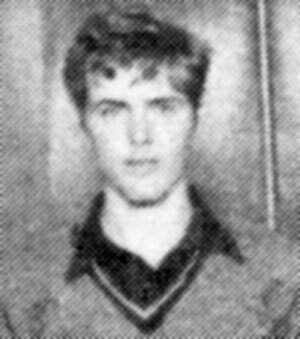 He also spent two years in the school’s classical studies quiz team, leading that team to success in 1992. 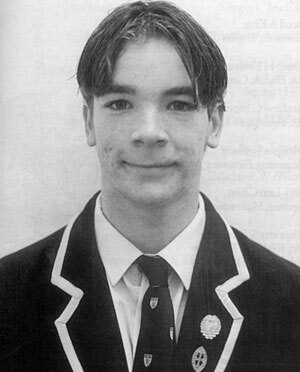 As a ‘young, clean-cut, innocent’ fourth former Anthony was plucked from obscurity and thrust into one of the lead roles as Oliver in the school’s production of Oliver. The opportunity was grasped, the talent shone through and the school was able to exploit this ability in another three shows, culminating in the 1992 Queen’s production of the Pirates of Penzance. In this musical he really came of age, taking the difficult role of the Major-General and making it a lasting memory for all. Indeed he was called upon to reprise parts from this show on several occasions not least the actual senior prize-giving. His work in this facet of his time at school gave this writer immense pleasure and fine memories! 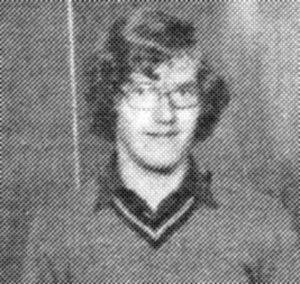 Within school Anthony was just as active, leading the school debating team and in 1992 acting not just as a peer tutor but as a teacher’s assistant one hour a week with 3T, an experience from which much was gained and probably never forgotten! Academically, the five years have seen success after success. These include: general excellence prizes every year, a distinction pass in the Australian Maths Competition in the fifth form, the special English, history and mathematics prizes in the fifth form, the English, history and classical studies prizes in the sixth form as well as the coveted Bremner Scholarship; the English, history, classical studies and art history prizes in the seventh form, and of course the Dux medal. A veritable library of achievement — gained because Anthony always aimed high, combining natural ability with the knowledge that came from sheer hard work. As if this wasn’t enough, Anthony found time to be a school prefect, the school council secretary and a member of those ubiquitous organisations: the workday committee, the formal committee, and the common room committee. This all adds up to quite a life at King’s High School! Perhaps it is fitting here to allow other teachers who have worked with Anthony a brief say. I echo all these sentiments. 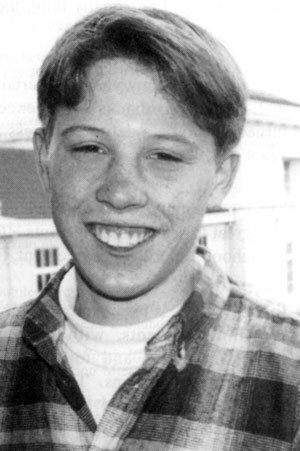 In 1991 all our science staff spoke of Aidan Arnold with reverence, believing it unlikely that they would ever see his quality again. Those who have taught Anthony feel exactly the same way. He is that rare and wonderful thing: a brilliant academic, who also gains immense pleasure from the rest of life. He leaves this school a better place and we wish him well! Since arriving at King’s part way through the fifth form Cameron has kept himself very busy both inside and outside of the classroom. Cameron’s academic excellence has never been in question. He has received General Excellence awards each year in all his subjects. This effort combined with a whole host of Distinctions, Top 100’s, credits, merits, first places etc. in the external tests that are available to schools such as the Australian Mathematics Competition and the BNZ Senior Science Competition. 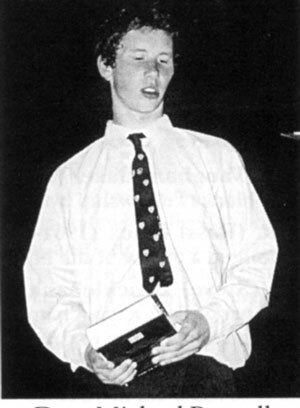 To top all this off — this year he has been awarded Dux of the School 1993. Obviously Cameron is very quick to grasp basic principles and concepts, but there’s more to it than that, I’m talking about chemistry in particular. I feel that Cameron is able to imagine himself as the particle’ or to picture himself in the solution, and in this way he has a fine ‘feel’ for what’s actually happening during the reaction. Much as we talk about a natural sportsman having an intuitive feel for the game I feel that Cameron has this ability in his work. How does Cameron let off a little steam? Try debating, chess, ice hockey, theatresports. Completely different disciplines which enable him to relax. But he does well at these als& Cameron has achieved blues in drama for the last two years and has represented Otago in ice hockey and theatresports. Cameron has a confidence about him and yet he is still able to relate to his fellow students well as his efforts as a peer tutor demonstrate. This confidence is what enables him to be a presenter on stage at the Dunedin Town Hall at the New Zealand Secondary Schools Choral Festival. All in all, a fine recipient of the Dux award — maintaining the very high standard set over the years. I, on behalf of the staff and boys, congratulate Cameron and wish him all the best for the future and whatever it holds for him. 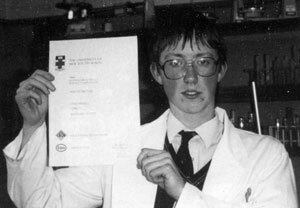 Craig Miskell shows off his High Distinction Science Certificate from the Australian School Science Competition. General Excellence awards — special prizes — even a first equal in New Zealand in a science at competition — all add up to a very capable young man who is working hard to achieve his tremendous potential. We don’t all do that — Craig does! the most in the chemistry lab. He didn’t just regurgitate facts (he could if you wanted), but he asked such searching and penetrating questions — this is this indicates an understanding and ‘feel’ for the topic that few ever attain at such an age. Not many of us have so many strings to our bows. And while on strings and things, I should add that Craig is a pianist of some ‘note’, so to speak. He passed his Grade 8 Trinity exams last year and keeps in practice playing at the Sunday School where he teaches. Craig has done well to date and I look forward to seeing exactly where he ends up. Michael has completed a very successful al academic year. 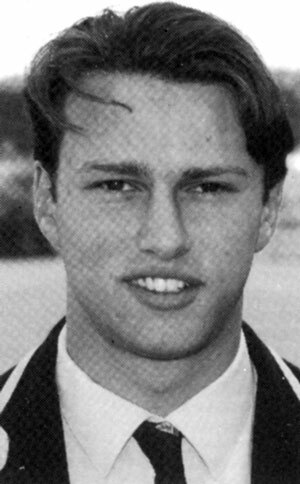 1995 has been a in continuation of the success Michael ol achieved in 1994 when he won the top nd academic award for Sixth Formers. Michael has achieved excellence in this studies this year and obtained Distinction in the Australian Mathematics competition. 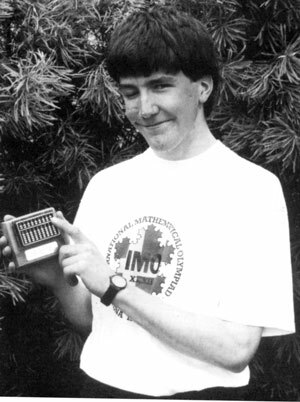 He has also taken part in many other ‘ore mathematics competitions and courses. Michael can be defined as an all-round to academic achieving high honours in both very the Arts and Sciences. He has also been a Prefect, the Head Librarian and was involved in setting up and running sound and lighting systems for this year’s musical. Outside of school, his main current interest is the setting up of systems in larger venues such as the Town Hall for youth concerts and the like. Next year he plans to take a year off from his studies before undertaking a 3- year degree course in television production at the New Zealand Broadcasting School in Christchurch. Grant’s unassuming, almost shy, nature belies his intense dedication and commitment to all facets of his life. 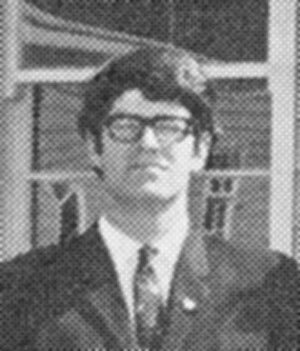 In his five years at King’s he has collected numerous academic awards including Certificate of Credit – Australian Mathematics Competition 1995; Certificate of Distinction -Australian Science Competition 1995; Certificate of Commendation – Analytical Chemistry Competition 1996; Certificate of Merit – Chemistry 13 Examination 1995 and 1996. During this time he has also gained Honourable Mention in the third form, General Excellence in Forms 4, 5 and 6, Form 5 Science Prize, Form 6 Chemistry and Computing Prizes and the prestigious Bremner Trophy for top student in Form 6. But not all his efforts have been put toward academic excellence. For the last eight and a half years Grant has trained in Kyokushin, a physically and mentally demanding sport in which he has also achieved to a high level, this year gaining his black belt after a gruelling six hour grading. Yet he has still found time to work as a car groomer every afternoon after school for the last three years to help pay for his addiction to motor sport. You’ve done well, Grant, and we wish you all the best for the future. 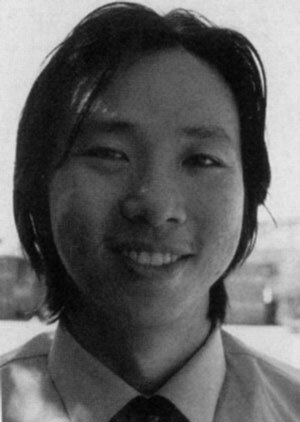 The 1997 Dux of King’s High School is Ming Lee. He arrived in New Zealand from Kuching, Sarawak, Malaysia, only in January. He had already achieved the highest pass possible in his 0 Level examinations, making him one of the top students in Malaysia last year. 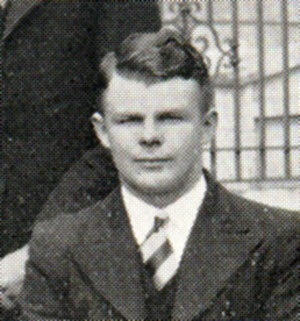 The determination to join his sister studying medicine at a New Zealand university saw him come to King’s. Ming is without doubt one of the finest students I have taught in all my teaching career. He has worked diligently all year and possesses acute perception and great intellectual prowess. Ming gained first place in all six of his subjects: English, biology Chemistry, Physics, Calculus and Statistics. English is actually Ming Lee’s third language. Ming’s interests include reading science fiction and playing badminton. He did not hesitate to help classmates in difficulty and stimulate his teachers with the odd curly’ question. Often though he ended up the subject of laughter, due to his immense powers of concentration (he wasn’t aware of what was going on around him!). Ming took it all in good spirit and looks to be a certain candidate to make the 387 benchmark to win an interview for Auckland University’ Medical School. We wish him luck. David’s list of achievements while he has been at King’s would take too much space to compile so only the highlights of his career will be mentioned. 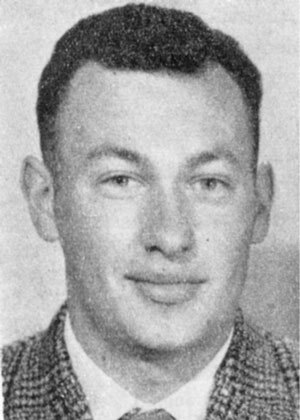 100.2 King’s FM, played cricket, basketball, tennis and he was a member of the social committee. David’s academic achievements are extensive. Every year since the third form David has been awarded General Excellence awards in all subjects. In the 5th Form the Mathematics and Graphics prizes were won. In the 6th Form he obtained the Mathematics, Chemistry and Graphics special prizes and the Bremner prize for Scholarship. In the Australian Chemistry competition he has scored in the top 1% in the country , earning a High Distinction, for the last two years, and in the Australian Mathematics and Science Competitions he has earned Distinctions. 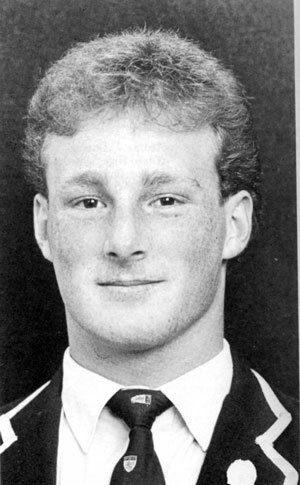 David has been awarded a Blue for Scholastic Achievement in 1997 and 1998. 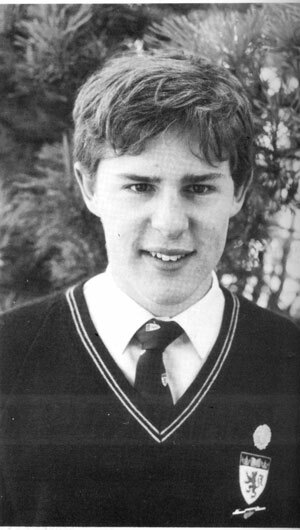 David has followed these successes with General Excellences in Mathematics with Statistics, Mathematics with Calculus, Chemistry, Physics and Graphics this year and has been awarded Dux of King’s High School for 1998. Each year at school Craig has gained academic distinction awards of the highest level. General Excellence for the last 4 years as well as special prizes in Workshop Technology Chemistry and Graphics show that he is a capable and focused young man. This year Craig receives Excellence Awards in six subjects, the Special Prize for Chemistry the Special Prize for Mathematics and the Special Prize for Physics. Soccer and social cricket is Craig’s main out of class interests and he was a house prefect and a member of the successful Stage Challenge team. Next year Craig hopes to study Engineering at Otago University with the ultimate aim of being an Electronics Engineer for a motorsport team. Excellence and Distinction would be key words in summing up Euan’s academic life at King’s. He has achieved a very high standard in academia, the highlights would be Distinction in Australian Science, Mathematics and English exams in the third, fourth and fifth forms. In the sixth and seventh forms Euan attained High Distinctions in Chemistry, Mathematics and English which puts Euan in the top 2% of students in the country and he also attained a High Distinction in the New Zealand Institute of Chemistry exam. he has of course achieved in a variety of subjects throughout his time at King’s; an academic record to be proud of and one for others to aspire to. 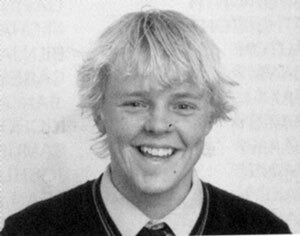 In 2000 Euan won the Special Prizes for Chemistry Physics, Biology and Mathematics and an excellence in English and was awarded Dux. Euan has been a House Prefect and has been awarded a Blue for Scholastic Achievement. Next year he wishes to continue his interest in Science by studying Genetics at Otago University. Michael has had a very successful academic career at King’s, achieving excellence at all levels in a range of subjects, as well as Distinction awards in the Australian English competition. He is very passionate about Art, and knowledgeable about Art History An accomplished soccer player, Michael has played in the school 1st J since the 5th form and achieved provincial representation in the Otago Under 16, 18 and 20 teams. 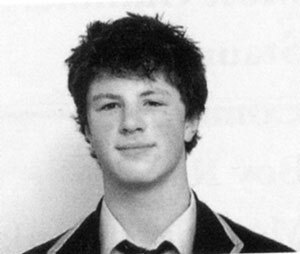 He ahs also turned out this year for the 3 XV rugby team and has been involved in Harriers. Academically this year Michael receives the University Bookshop Special Prize in English, The Art Department Special Prize in Art History The PTSA Special Prize for Painting and Excellence in 2 subjects. Michael is also this year’s Dux and receives the Dux medal, the Old Boys’ Jubilee Scholarship, the PTSA Prize and the Rector’s Scholarship. 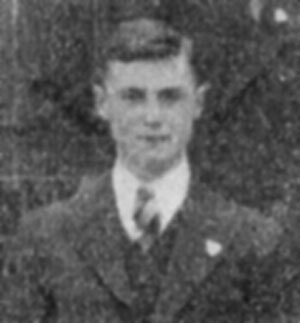 Paul arrived at King’s from Balmacewan with a reputation as a top scholar. This year has seen this early promise come to fruition with Paul being named as Dux for 2002. Paul has always achieved highly right from his very first year at school when he achieved a remarkable nine Excellences at Prize-Giving. In the last two years Paul has received High Distinction in the Australian Mathematics Competition, placing him in the top 1% of candidates. While Paul excels at Mathematics, unusually, he is also a top English scholar winning this magazine’s Creative Writing Prize with a thoughtful piece on the topical issue of euthanasia. Of course, Paul is also an outstanding musician, whose jazz saxophone has enthralled many an audience at school and around town. 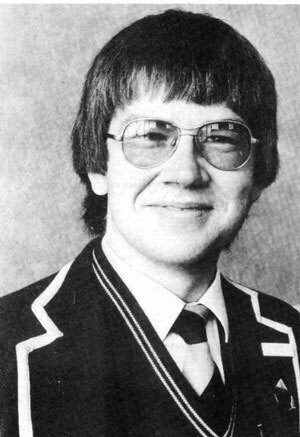 Indeed, Paul entertained this year’s Prize-Giving with his Paul Young Quartet immediately before being named Dux. Paul has also served the school well as Prefect, Windsor House Prefect and School Council treasurer. 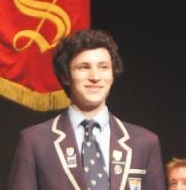 Next year Paul will attend Otago University where he will study mathematics and sciences. Jesse has excelled academically since his first arrival at King’s High School and thoroughly deserves the school’s top award. He has frequently studied a year above his age level gaining 88% in both School Certificate English and Mathematics while in Year 10. In Year 11 he went one better sitting Bursary Classical Studies in which he remarkably achieved a Scholarship; the next year, from Year 12, he passed Bursary Chemistry; Biology and Music. 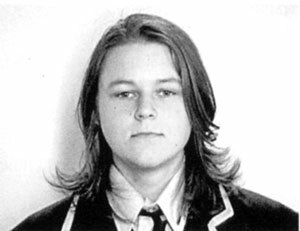 In his final year at school Jesse has studied Art History; Physics, Mathematics with Calculus and Geography. As jesse‘s eclectic choice of subjects indicates, he is a well-rounded individual at home both in the arts and the s.As he says, “I’m more into the subjects that interest me.” Indeed, Jesse has not studied English this achieved top mark and High Distinction in the Australian English Competition. He lists Tolstoy and Old Boy, James K. Baxter as two of his favourite writers. And then there’s his music. Jesse is a most accomplished pianist with a special passion for classical music and uring his time at King’s he has won many awards including a Diploma in Music from the Royal Schools ic, London. 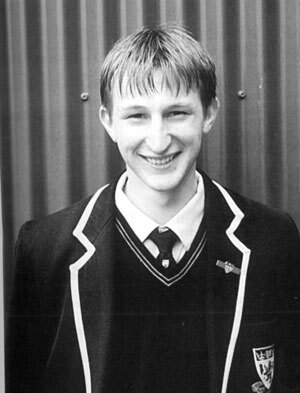 Chris took first place in all his subjects after an excellent Year 13, thoroughly deserving the award of Dux for 2004. 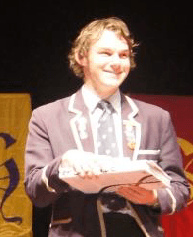 Chris has always excelled academically at school frequently winning Distinctions and Credits in the Australian Science, English and Maths competitions over the years. 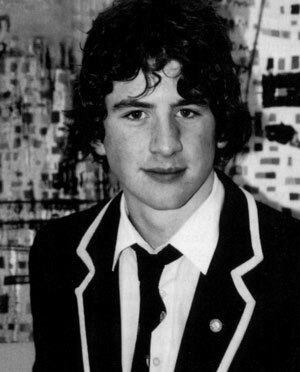 In Year 10, his ability as a writer was recognised with an award in the Australian Creative Writing Contest. One of Chris’s pieces this year features in this magazine. 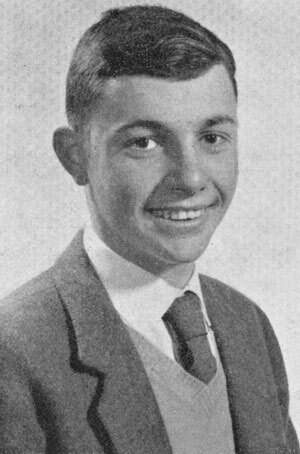 Chris was also a school prefect this year, on the School Council, a World Vision fund-raiser organiser and part-time McDonald’s worker, no doubt saving up for his years to come as a poor student. Chris has also found time for basketball, gym, hockey and debating and has fond memories of this year’s Formal and party Next year Chris plans to study Commerce at Otago. 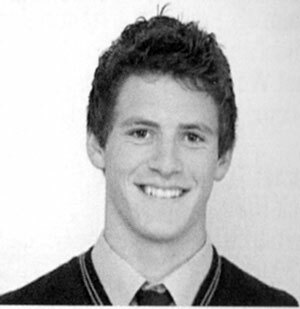 Nat came to King’s from East Otago High School and, in his final year, was Deputy Head Boy and Chairman of the School Council, a 40 Hour Famine organiser, House Prefect and an ODT Class Act Recipient. Nat is also a talented sportsman. He has been a XI hockey member and was chosen for the Otago U18 Development Squad. Snowboarding is a great love but Nat has tried most things: basketball, rugby, skateboarding, sailing, and even represented the school at the NZSS Cross Country Champs in Yr 11. Nat received Blues this year for hockey and snowboarding. Being Head Boy can be the kiss of death academically for even the most organised of pupils. That Bonar has continued to excel academically, and in sport, drama and music, too, says much for his character and attitude to life. 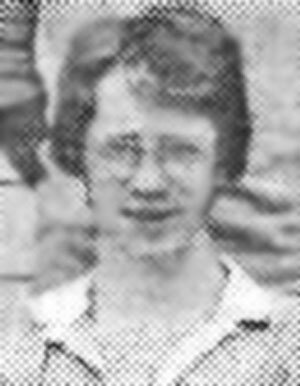 His academic career has almost certainly been unequalled in the history of the school. In Years 9 and 10 Bonar received Excellence in nine subjects and Merit in one. That Merit was to be the only occasion Bonar did not either receive Excellence or a prize in every subject at every level, over five years. Remarkable! There is more to Bonar than just his academic endeavour and leadership skills. He has been a true all rounder. In sport, Bonar has played for the 1S XI hockey team for four years and was in this year’s 3 cricket XI. He has received Blues for music (3 times), scholastic competition and choir, been a House Prefect and School Council member and appeared onstage in Joseph and Stage Challenge. Bonar has also been a member of the school choir, the jazz and chamber music bands and the National Schools’ Brass Band. 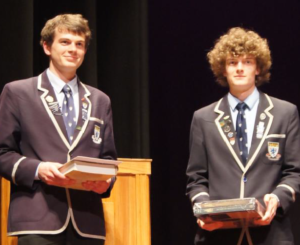 A talented public speaker, Bonar won the prestigious Dunedin Rotary Speech Competition this year. He was also the recipient of the ODT Class Act Award and has recently won a Leaders of Tomorrow Scholarship to Otago University. 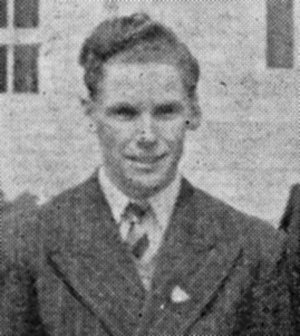 In his Leavers’ Profile Bonar’s favourite King’s moment was getting the bus back up the hill from Long Beach on House Day, which probably says a lot about this unassuming young man. Bonar has made every moment at King’s count, grabbed every opportunity, asked little and given much in return. 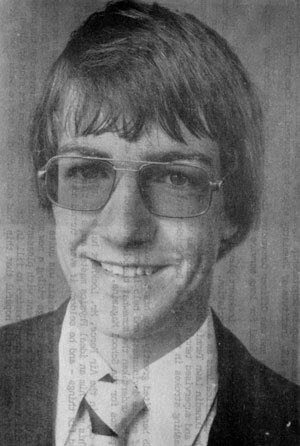 He has been one of King’s most outstanding pupils ever and will next year study law and commerce at Otago University. 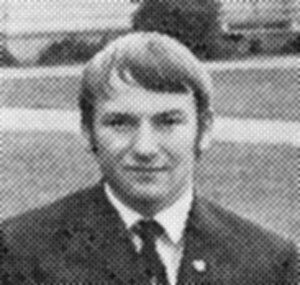 A school and House Prefect, and good Tudor man, Tony has been well-known outside the classroom for his running where his grit is legendary. He has won medals at National Secondary School level in road race and cross country as well as performing well on the track. Tony ends his running career at King’s in this December’s National track and field and road race championships in Christchurch. This year he was also the runner up in the Otago Secondary Schools’ duathlon and his triathion team are current South Island schools’ champions. Tony must have great self-organisational powers because he has also found time for canoe polo and has been a member of the school choir, School Council, Young Enterprise team and Senior Formal Committee. Amazingly, there was still time for a role in Joseph and Stage Challenge. For Tony, highlights of his time at King’s have been the Yr 13 Geography trip and Stage Challenge. Next year he will be starting a double degree in law and science. Philip’s career at King’s has been simply outstanding. He has a real love of learning and awards have just kept coming every year at prize giving, especially in the Sciences. 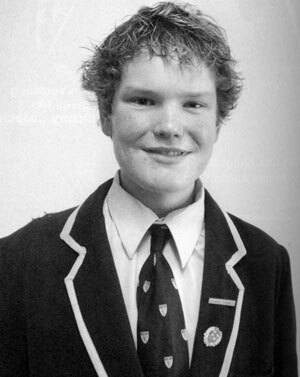 He was a member of the New Zealand Geography team to the Geography Olympiad in Australia in 2007 and this year made the training camp for a similar Biology team. A Prefect, Philip has contributed a lot to King’s and has been one of our most outstanding scholars ever. Next year he will start a new life at Otago University where he will study Physics and Biology. Philip, achieved 3 scholarships, the most by any one King‟s boy since the new scholarship system was introduced. These were in: Mathematics with Statistics, Biology and Physics. Bede has completed a superb five years at King’s, excelling academically in each of them. 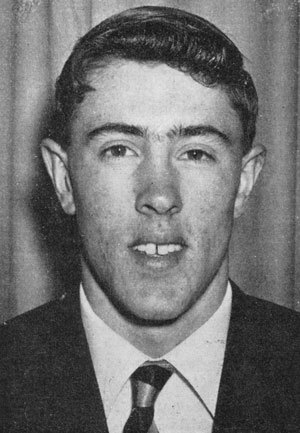 He was the best all-round student inYr 10 and won the Bremner Scholarship inYr 12. His list of achievements above testify to his determination, self organisation and motivation. His skills in music have been our pleasure. Bede is a very talented pianist, a member of our choir and jazz bands. His contribution to school drama has been similarly huge. Bede this year had a leading roll in the demanding Les Misbrables. He is also a gifted public speaker who has placed in several local schools’ competitions. In the most competitive, the ORC Anniversary Day competition, Bede reached the final two years running and was second in 2007. At Blues Evening this year, Bede received four individual Blues for choir, drama, music and public speaking, a very rare feat. Yet, Bede also had time for orienteering and hockey. Next year, Bede will be studying architecture at Victoria University.